Hola! Check out what I made! An easy craft to spruce things up in here for Spring, as well as a couple of birthdays that are headed our way. I’m a crafty kind of girl, but I usually steer clear of anything involving fabrics. Fabrics scare me. Although they work quite well when trying to create little cuties for dressing up the old cottage and blog. Gotta love those seamstresses! Anyways, this one I could pull off. Yay! I wanted to make this a while ago, but I thought it would be hard. 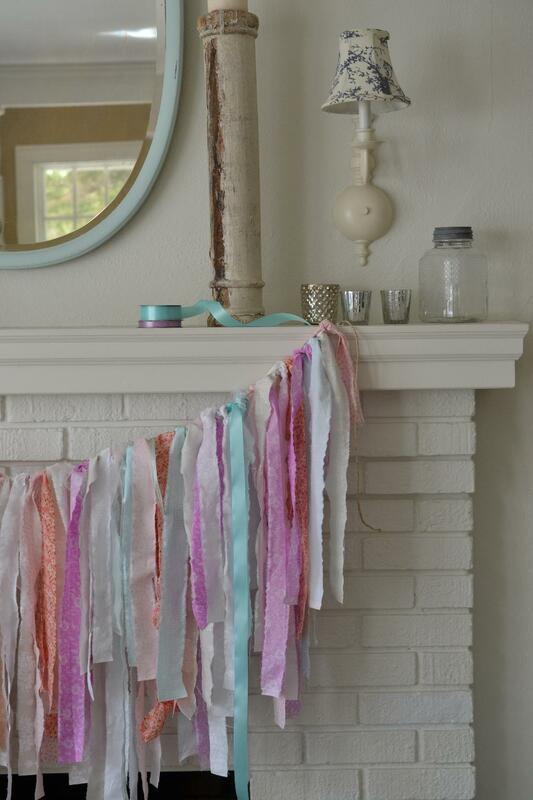 I’ve seen versions of these all over the webernet (google “boho garland”). It couldn’t be easier, there is no sewing or measuring or even glue involved. This is my kind of crafting girls. The hardest part of this project was selecting which fabrics and ribbons I wanted to use. The fabrics are cut about an inch and then torn the rest of the way to create the frayed edge. I just love a frayed edge to add a bit of whimsy and texture, and create a casual fun look. Some fabrics work better than others. My fabric clerk helped me select the ones that would easily tear in a straight-ish line. I just tied the fabric pieces on this hemp rope in a haphazard way while I was watching Wendy Williams — “How you doin?” I knotted on a few pieces of tulle and ribbon to fill in the empty spaces. Happy Spring! 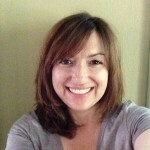 This entry was posted in seasonal decor and tagged accessories, decor, DIY, spring on March 19, 2015 by sally. I LOVE this, Sally!! 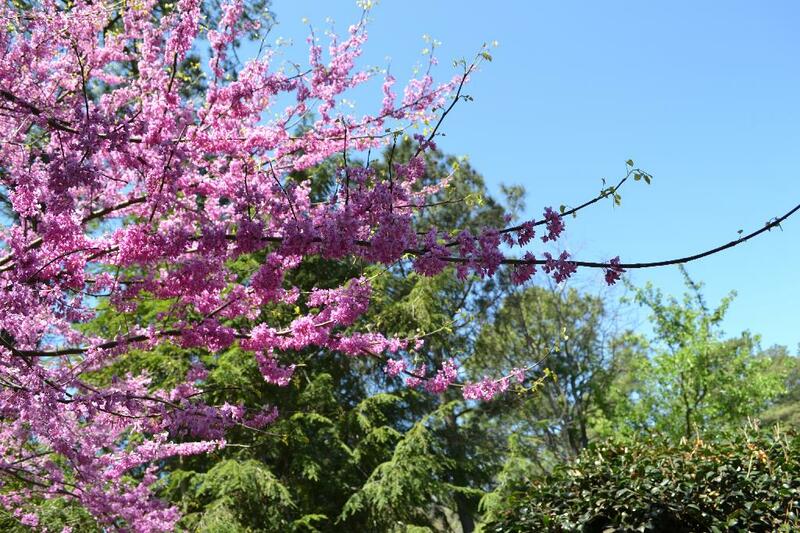 The colors are so yummy…what a perfect way to welcome spring!!! 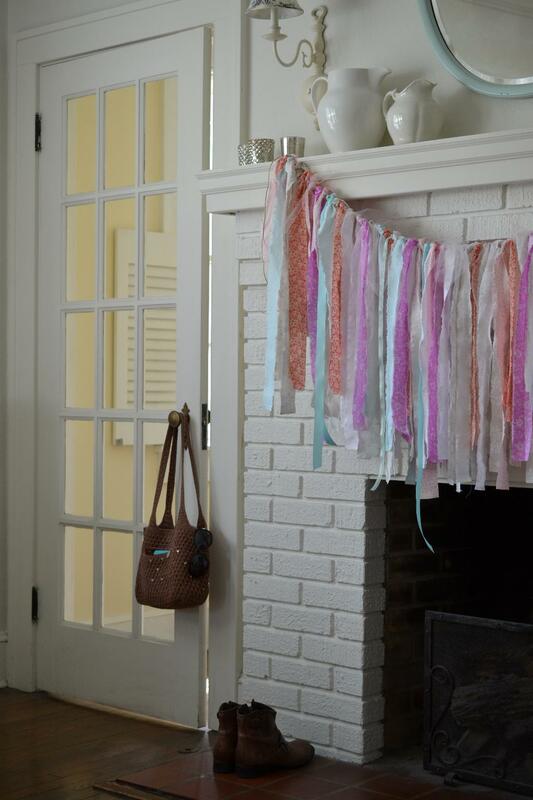 It looks like you’re ready to welcome spring with your festive boho garland, Sally! It contrasts nicely with your painted white brick fireplace. 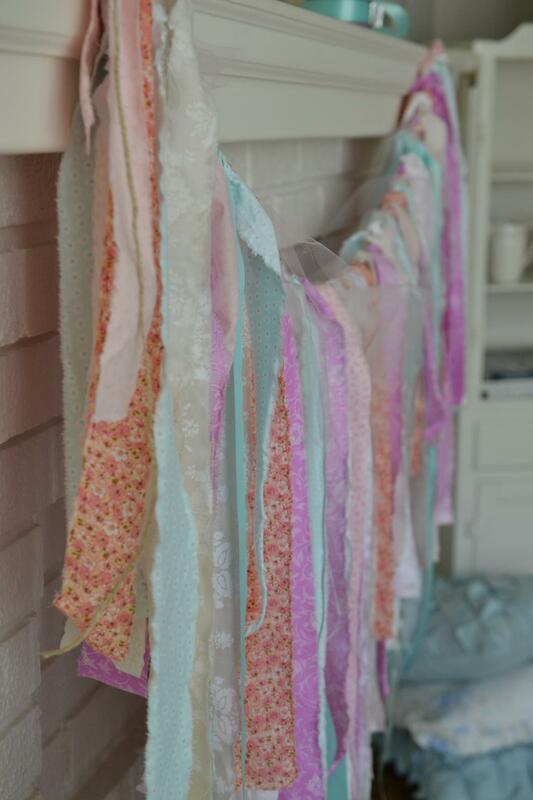 I love the addition of sheer fabrics and ribbons to your garland! I wish I were afraid of fabrics. hehe I just received my 60% off JoAnn Fabric coupon, and I’m off to use it before it burns a hole in my pocket. Happy Spring! Very cute and easy to make-Love it! How fun. It looks so pretty and I love all the different fabrics you used. This is so pretty! And boho is so in right now. This would be pretty with Easter actually any color holiday fabric! Thanks Sue! I hadn’t thought of using vintage sheets – great idea!